A social media controversy erupted when Target announced a chain-wide policy inviting transgender customers to use the bathroom that matched their gender identity. Target caved to pressure from President Obama and LGBT groups and instituted a store-wide policy allowing transgender employees and shoppers to use the bathroom that matched their gender identity. Target just caved to pressure from the Obama administration and liberal activists. They have announced that any “transgendered” person can use the bathroom in their stores, according to the gender they associate with. Is this true? Target confirmed a chain-wide policy allowing transgender individuals to use the bathroom aligned with their gender identity. Target made the decision due to pressure placed on the chain by President Obama or LGBT groups; Target announced "transgender restrooms." Target just caved to pressure from the Obama administration and liberal activists. They have announced that any “transgendered” person can use the bathroom in their stores, according to the gender they associate with. 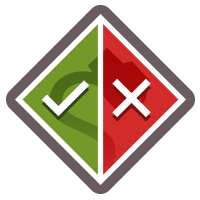 No information we could find substantiated the claim that Target was pressured to institute the chain-wide policy, and no retailers of a similar size and scope have reported any organized push to enact similar policies. 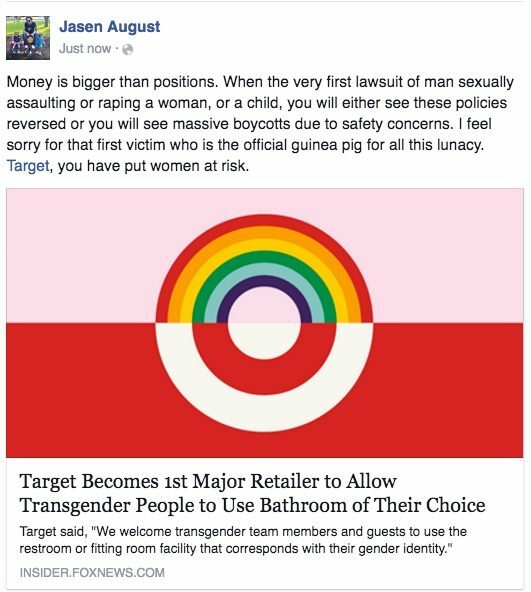 While HB2 is an enforceable law, Target’s bathroom policy is simply a brand’s policy decision based on its own ethics and belief structure. It is true that Target announced on 19 April 2016 that transgender shoppers and staffers were welcome to use the bathroom that best matched their gender identities. However, neither President Obama nor any groups appeared to have forced the retailer’s hand in issuing the policy, and no “transgender bathrooms” were included in the details of the announcement.